Over the 25-year life of the wood pellet boilers installed through this project, participants will reduce fossil fuel use by the equivalent of 1.4 million gallons of oil. By purchasing wood pellets instead of oil, participants will help keep more than $5 million in the regional economy and generate about $11 million in positive economic impact. Through community-based clusters of high-efficiency, low-emission wood pellet boiler installations, the project is designed to show that clean-burning wood pellet heating systems can completely replace oil and propane boilers. The project demonstrates thereliability and cost savings of bulk-fed, high-efficiency pellet boilers in non-residential buildings and homes. The Northern Forest Center is partnering with the Adirondack North Country Association(ANCA), Adirondack Association of Towns and Villages (AATV), New York State Energy Research and Development Authority (NYSERDA) and other organizations to launch theAdirondack Model Neighborhood Wood Heat Initiative. Funding for the program comes from the Northern Border Regional Commission, the Overhills Foundation, and private individuals. NYSERDA also provided support through Governor Cuomo’s Cleaner, Greener Communities Program, which encourages local communities across the state to become more sustainable and energy efficient. For non-residential participants, the Adirondack Model Neighborhood Wood Heat Initiative will provide up to $15,000 of the cost to install a wood pellet heating system, with a goal of completing 15 installations during the 2-year project. Non-residential projects are considered on a rolling basis. Municipal buildings will be given preference. For residential participants, the Adirondack Model Neighborhood Wood Heat Initiative will provide up to $10,000 for installation of qualified wood pellet heating systems. The project will use a competitive process and requires an application to be completed for consideration. Building owners selected for the project will be required to complete a free energy assessment through a designated provider recognized by the Building Performance Institute (BPI) as a BPI GoldStar Contractor. The Model Neighborhood Wood Heat Initiative is part of the Northern Forest Center’s renewable energy program, which is building the market for high-efficiency, low-emission wood pellet boilers for homes and small-scale commercial installations in Maine, New Hampshire, Vermont and New York and advocating for supportive public policies on the state and federal levels. 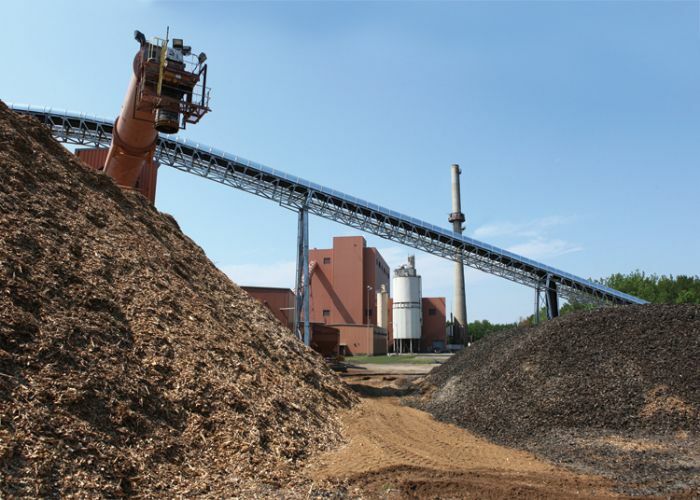 New York State is advancing new, energy-efficient, low-emission wood heating technology through Renewable Heat NY, which encourages growth of the high-efficiency, low-emission biomass heating industry. The Renewable Heat NY program also supports quicker development of this industry, raises consumer awareness, supports New York-based advanced technology heating products, and encourages local sustainable heating markets. The “model” neighborhood concept creates a geographic concentration of pellet boiler users that helps develop the pellet delivery systems, installation and maintenance support that will make it easier for others to switch to pellet heating and will allow the community to experience the convenience and savings of the high-efficiency pellet boilers. Other benefits of the project include strengthening markets for low-grade wood, which provides a financial incentive to forestland owners to keep their forests intact, and opportunities to stabilize and increase employment in forest-based businesses. The Northern Forest Center helps create economic opportunity and community vitality from healthy working forests in Maine, New Hampshire, Vermont and New York. Additional resources and application materials are available online at www.northernforest.org/adirondack_model_neighborhood_project.html.